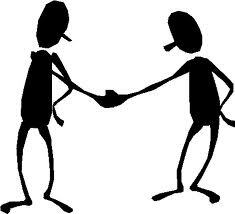 Social skills are the skills we have to get along with others. Often times, we take our social skills for granted without realizing all the complicated skills we use when we interact with family, friends, coworkers, and so on. Some of these skills are very basic (e.g., saying hello, smiling, making eye contact). Others are more complex (e.g., negotiation, conflict resolution, etc.). Some adult Aspies learn social skills easily and quickly, whereas others find social interactions more challenging and may need to work on developing their social skills consciously. Social skills are important for Aspergers adults for a number of reasons. Aspies with good social skills are naturally more popular than their less socially adept peers, which means they have better supports to call on when experiencing difficulties in their lives. Also, well-liked individuals get more “social reinforcement” (i.e., messages from others that they are appreciated and worthwhile), so they tend to have higher self-esteem, which can also help them through tough times. Aspergers adults often experience social difficulties, social rejection, and interpersonal relationship problems. Such negative interpersonal outcomes cause emotional pain and suffering. They also appear to contribute to the development of co-morbid mood and anxiety disorders. Because Aspergers is an "invisible disorder," often unrecognized by those who may be unfamiliar with the disorder, socially inappropriate behaviors that are the result of Aspergers symptoms are often attributed to other causes (i.e., people often perceive these behaviors and the individual who commits them as rude, self-centered, irresponsible, lazy, ill-mannered, and a host of other negative personality attributes). Over time, such negative labels lead to social rejection of the Aspie. Social rejection causes emotional pain in the lives of many adults who have Aspergers and can create havoc and lower self-esteem throughout the life span. In relationships/marriages, the “inappropriate” social behavior may anger the neurotypical partner/spouse, who may eventually "burn out" and give up on the relationship/marriage. Social skills are generally acquired through incidental learning: watching people, copying the behavior of others, practicing, and getting feedback. Most people start this process during early childhood. Social skills are practiced and honed by "playing grown-up" and through other childhood activities. The finer points of social interactions are sharpened by observation and peer feedback. Children with Aspergers often miss these details. They may pick up bits and pieces of what is appropriate but lack an overall view of social expectations. Unfortunately, as adults, they often realize "something" is missing but are never quite sure what that "something" may be. Social acceptance can be viewed as a spiral going up or down. Individuals who exhibit appropriate social skills are rewarded with more approval from those with whom they interact and are encouraged to develop even better social skills. For those with Aspergers, the spiral often goes downward. Their lack of social skills leads to peer-rejection, which then limits opportunities to learn social skills, which leads to more rejection, and so on. Social punishment includes rejection, avoidance, and other, less subtle means of exhibiting one's disapproval towards another person. It is important to note that people do not often let the offending individual know the nature of the social violation. Pointing out that a “social skill error” is being committed is often considered socially inappropriate. Thus, Aspies are often left on their own to try to improve their social skills without understanding exactly what areas need improvement. • A momentary lapse in attention may result in the adult with Aspergers missing important information in a social interaction. If a simple sentence like "Let's meet at the park at noon," becomes simply "Let's meet at noon," the listener with Aspergers misses the crucial information about the location of the meeting. The speaker may become frustrated or annoyed when the listener asks where the meeting will take place, believing that the listener intentionally wasn't paying attention and didn't value what they had to say. Or even worse, the individual with Aspergers goes to the wrong place, yielding confusion and even anger in the partner. Unfortunately, often neither the speaker nor listener realizes that important information has been missed until it is too late. • Actions speak louder than words. If someone's words say one thing but their actions reveal another, it would be wise to consider that their actions might be revealing their true feelings. • Be alert to what others are doing. Look around for clues about proper behavior, dress, seating, parking and the like. • Be aware of body language, tone of voice, behavior, or the look of someone's eyes to better interpret what they are saying. • Find a guide to help you with this hidden language. Compare your understanding of reality with their understanding of reality. If there is a discrepancy, you might want to try the other person's interpretation and see what happens, especially if you usually get it wrong. • Learn to interpret polite behavior. Polite behavior often disguises actual feelings. • Look for clues in your environment to help you decipher the subtext. Be mindful of alternative possibilities. Be observant. A related social skills difficulty for many with Aspergers involves missing the subtle nuances of communication. Those with Aspergers will often have difficulty "reading between the lines" or understanding subtext. It is difficult enough for most to attend to the text of conversations without the additional strain of needing to be aware of the subtext and what the person really means. Unfortunately, what is said is often not what is actually meant. When the social skill areas in need of strengthening have been identified, obtaining a referral to a therapist or coach who understands how Aspergers affects social skills is recommended. Social skills training usually involves instruction, modeling, role-playing, and feedback in a safe setting such as a social skills group run by a therapist. In addition, arranging the environment to provide reminders has proven essential to using the correct social behavior at the opportune moment. These findings suggest that adults with Aspergers wishing to work on their social skills should consider the following elements when seeking an effective intervention. It is important to note that these treatment strategies are suggestions based on clinical practice, rather than empirical research. 1. Aspergers adults should have a positive attitude and be open to the growth of their social skills. It is also important to be open and appreciative of feedback provided by others. 2. Adults with Aspergers may want to pick and work on one goal at a time, based on a self-assessment and the assessments of others. Tackling the skill areas one at a time allows the Aspie to master each skill before moving on to the next. 3. According to social exchange theory, people maintain relationships based on how well those relationships meet their needs. People are not exactly "social accountants," but on some level, people do weigh the costs and benefits of being in relationships. Adults with Aspergers are considered to be "high maintenance." Therefore, it is helpful to see what they can bring to relationships to help balance the equation. Investigators have found that the following are characteristics of highly likeable people: sincere, honest, understanding, loyal, truthful, trustworthy, intelligent, dependable, thoughtful, considerate, reliable, warm, kind, friendly, happy, unselfish, humorous, responsible, cheerful, and trustful. Developing or improving any of the likeability characteristics should help one's social standing. 4. Oftentimes social skills can be significantly improved when there is an understanding of social skills as well as the areas in need of improvement. Reading books on the subject of social skills training can provide some of that knowledge. 5. Adults with Aspergers can learn a great deal by watching others do what they need to learn to do. They may want to try selecting models both at work and in their personal lives to help them grow in this area. Television may also provide role models. 6. Adults with Aspergers can use prompts to stay focused on particular social skill goals. The prompts can be visual (an index card), verbal (someone telling them to be quiet), physical (a vibrating watch set every 4 minutes reminding them to be quiet), or a gesture (someone rubbing their head) to help remind them to work on their social skills. 7. Practicing the skills they need with others is a good way for individuals with Aspergers to receive feedback and consequently improve their social skills. 8. Those who struggle with missing pieces of information during conversation may benefit from developing a system of checking with others what they heard. "I heard you say that. Did I get it right? Is there more?" Or an individual with Aspergers could ask others to check with them after providing important information. "Please tell me what you heard me say." In this way, social errors due to inattention can be avoided. 9. Visualization can be used to gain additional practice and improve one's ability to apply the skill in other settings. Those who need practice in social skills can decide what they want to do and rehearse it in their minds, imagining actually using the skill in the setting they will be in with the people they will actually be interacting with. They can repeat this as many times as possible to help "over-learn" the skill. In this manner, they can gain experience in the "real" world, which will greatly increase the likelihood of their success. Social skills are like any other kind of skill – they can be learned. How do you know if you need to improve your social skills? Do you wish that you had more friends but don't know how to go about making them? Do you think of yourself as a 'loner'? Do you feel like there's nobody to turn to when you need support? Do you often feel uncomfortable around other people? Do you find it hard to know what to say sometimes? Do you consider yourself a rather shy person? If you answered yes to any of these, then you may benefit from working on your social skills. The following is a list of basic social skills. Take note of any areas where you might need improvement. We will be discussing each of these areas in greater detail in subsequent posts. Identify the skill you want to learn and specify the actual behavior, the social group, the setting, and the situation. Social skills need to be learned in small steps (and only one or two at a time). Social skills are practiced best in role play situations but are learned best in real-life interactions. As much as possible, get immediate feedback and reinforcement from others. Learning social skills takes time. 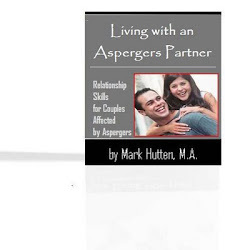 Although Aspergers certainly brings unique challenges to social relationships, information and resources are available to help adults with Aspergers improve their social skills. Most of this information is based upon sound clinical practice and research. There is a great need for more research on social skills and Aspergers in adults. Seek help through reading, counseling, or coaching and, above all, build and maintain social connections. This is a really good article that will help parents know what social skills need to be reinforced. I'm so glad that today there is so much help out there. I have a 37 year old son who is married and reading these articles about Aspergers have really helped me understand so many things about his childhood when they just called him an enigma and tried so many failed therapies on him. I noticed something about what anonymous said. This person, just like I am, is reading this not because they have Asperger's but because someone they care about does. My son is 20 and could care less to read anyhting on how to help himself. Diagnosed a little over a year ago, he has the emotional age of maybe 13 or younger.I want him to be able to move along, but he is content here with me doing nothing but the chores I force him to do. Those, he does poorly and has to repeat them; and pair that with ADD it takes him all day to do simple things. No amount of prodding can interest him in anything but his dog, his fantasy/sci- fi books, and his computer games. I forced him to go to Technical school with horrible academic results and meltdowns when prodded to do work. He will not drive.I do not know where to turn. I have consulted an attorney but they are doubtful he will win his disability case because of this "invisible disorder" and the fact that he is very bright. He doesn't understand business dealings or employer expectations and I always wind up navigating for him. I still have to get him out of bed every day and tell him to take care of his grooming and hygeine. Help! I really feel for you, Anonymous Feb 3, 2012. It sounds like you really need to take good care of yourself. This invisible disability is so hard on the ones closest to them. I suffer as well. I am married to Aspergers + ADD and my 14 year old son has it too. They both are extremely bright which makes it all the more confusing for neurotypicals. I haven't found too much that helps us. My suggestion is that some tough love is needed. Is it healthy for *you* to continue this way? Perhaps you can teach him how to use the bus. Maybe he could get a job at a pet store, video game store, book store, or something of his interest that he finds fun. . . a starter job. He needs to fail at business dealings and employer expectations, *on his own*. Experience is the best teacher. Perhaps hire a coach for him. Sometimes they rebel just because it's mom telling them the same thing a coach, teacher, or boss, would tell them, but they will listen to them. I also have to deal with hygiene and waking up issues. It is so hard to watch but I have to let natural consequences unfold. Perhaps set boundaries for yourself. Be precisely clear on what you expect from him, with firm deadlines, and clear consequences if not met. Don't threaten but do follow through. Maybe even write up a contract and both sign it. Aspies generally are rule followers and they like to know what to expect. I wish you all the best. I know it's not easy. I have a similar situation with a college grad son who isn't working. Doesn't care. His psychologist told him to take a break while he built a habit of exercise (he has, yay! ), start new meds for depression/ADD (yes) and look for jobs (not really happening). Where do I look for a life/ADD coach? I am reading this because one of my children has been detected with low social skills and is suspected of being a HFA. On reflection I was always shy and don't have any real close friends and there is a saying the apple doesn't fall far from the tree. I do not pick up on social clues and can read people's body language and have difficulty starting small talk. I also detest being ordered to do anything. Now that I know I and my child have this we can start being mindful of the lack of social skills and try to develop skills. Anonymous with your 20 yr old son get him to do computer programming as it will suit his difference (aspie) and the logical requirements will suit. Also people interaction will be lower . I almost did computer programming but was talked into a degree in Commerce and regret not doing the programming as I would have enjoyed it and been excellent at it. Another area would be finance degree as it is logical and follows set formulas and you calculate expected results. Wish I had majored in Finance with my degree . Another mistake as I did not know about HFA at the time. Thinking back I excelled at Economics and Finance units at University. Now I know why and should have majored in them. I went to a Technical School and ended up leaving with electronics rather than trades. It was not until later in life I discovered that my low marks in Science was because I was wired for Business studies. You can't tell an aspie to do something . Use visual rather than words. Put a picture up on his wall of him doing whatever chore you want him to do. Maybe get a book on finance and leave it lying around. I got my fussy child to eat a piece of carrot by placing on small piece on her plate. Normally a refusal is what I get if I suggested eating carrot but she ate it without any resistance. I was expecting her not to eat it but instead to get use to it (desensitise) on the plate. If you want to teach your son you are going to have to take small steps. Like go for a short walk towards the bus stop. Wait at the bus stop . Get used to this and then suggest you both catch the bus and if he arks up don't push it just do it again slowly get him used to the idea. It may take time but he has to think about the idea of riding the bus. Maybe talk about why it would be good to catch the bus. Where he could go and why this would be good. Logic and deduction has to be given and he then has to process the ideas rather than being forced. I have watched a video from a physiologist on how to interact with a child with HFA or Aspie. Tough love won't work but feeding his need for logical reasoning and giving him time to think about it will work better.